The bravest tackle you�ll ever see! Perry Baker shows incredible speed as USA beat Australia for a place in the Cup semi finals in Glasgow. Follow World Rugby on social media: TWITTER. Two whistles, quick set and press. Italy score last second winner to beat scotland! Italy beat Scotland 27-26 at the World Rugby U20 Championship to take their first win on the campaign. Good defense play video and comments. Compilation of hits and runs from Super rugby 2016. 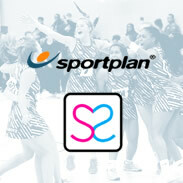 The new partnership aims to create a clear pathway for amateur coaches to grow in confidence and showcase the talent in junior netball.